Take A Break From The Matches & Get To Know The World Cup Better With 7 FIFA Facts! Every 4 years, the world comes together in this cosmic event. Over the span of a month, 32 national teams compete in 64 matches to win the claim and title of the best soccer team in the world – for at least 4 years. And as Malaysians, nothing is more amazing than sitting in someone’s hall, mamak or a bar, cheering on your favourite team! But of course, there’s more to the World Cup and being the best football team for 4 years so let’s find out! 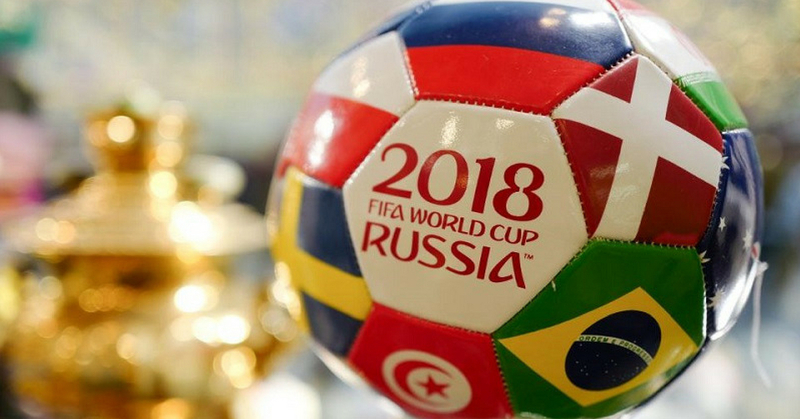 Roughly 46% of the world’s population watched more than 1 minute of the 2010 World Cup, and according to FIFA, this makes the tournament the world’s most widely viewed sporting event. Whilst 46% is an amazing number, it’s arguably more incredible that 2 billion people (29%) sat down to watch more than 30 minutes of the Cup. Ever wonder how much money the winning team gets? Well, that much… and also 4 years of bragging rights. In a small attempt to offset disappointments, FIFA awards the runner-up $25 million too. Generally, every team who participates takes home a multi-million-dollar cheque, and in face, just competing in group play will secure your team $8 million already! It might sound insane to you, but it does make a lot of sense considering how much FIFA actually makes every World Cup. If you really think about it, this isn’t that surprising. 9 months after Germany hosted the World Cup in 2006, their country’s birth-rate increased more than 10%. It doesn’t seem that much, but birth rates are something that’s actually pretty stable, hence a hike like that is actually quite a big deal. What’s more, Germany’s birth-rate is one of the lowest in the EU. Why the sudden hike? Well… one of the reasons is beer. Fun and exciting events make people happy, and when women are happy, biologically, it makes it easier for them to get pregnant. Just remember people… don’t get too drunk that you forget contraception! Brazil and Italy have a combined 9 World Cup titles, whilst one of these 2 team has won 47% of the 19 tournaments held. Brazil has won the most titles with 5 wins from 1958 till 2002, and have appeared in every World Cup since 1930. Italy has taken home 4 titles, making them the 2nd most winning country with victories ranging from 1934 till 2006. And Germany comes in 3rd with 3 wins, followed by Argentina and Uruguay with 2 wins apiece. If you combine those 5 teams, you get a total of 15 wins, meaning that of the 196 countries, 5 have won roughly 79% of the World Cup tournaments. And with 209 member countries, it is often called the “United Nations of Football.” But accolades and million statements aside, their reputation is far from spotless; they have been called dishonest and corrupt with multiple scandals surrounding the organisation, including allegations of bribery. But tell me something new? 7. Does Hosting The Match Improve A Country’s Image? When asked if the World Cup could improve their country’s image, Brazilians were divided. A study showed 39% of participants feeling that the tournament will hurt the country’s image, 35% said that it would improve the image, and only 23% thought it wouldn’t have an impact. The remaining 3% stated that they didn’t know.